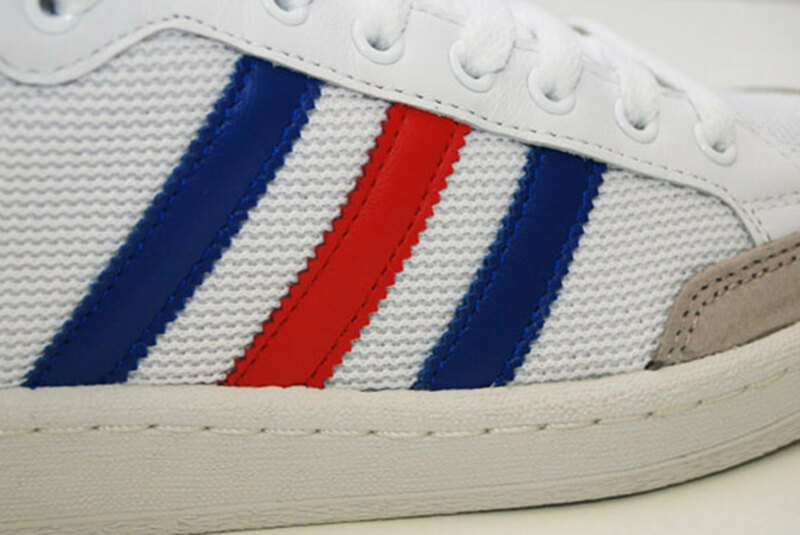 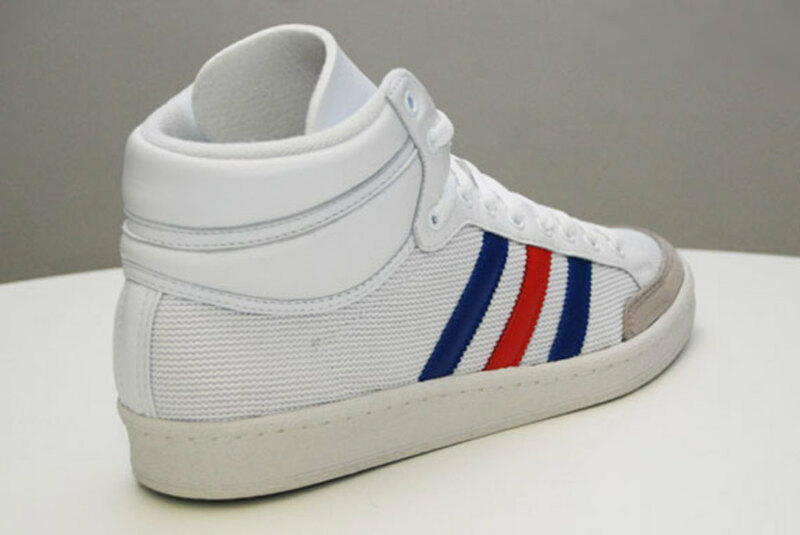 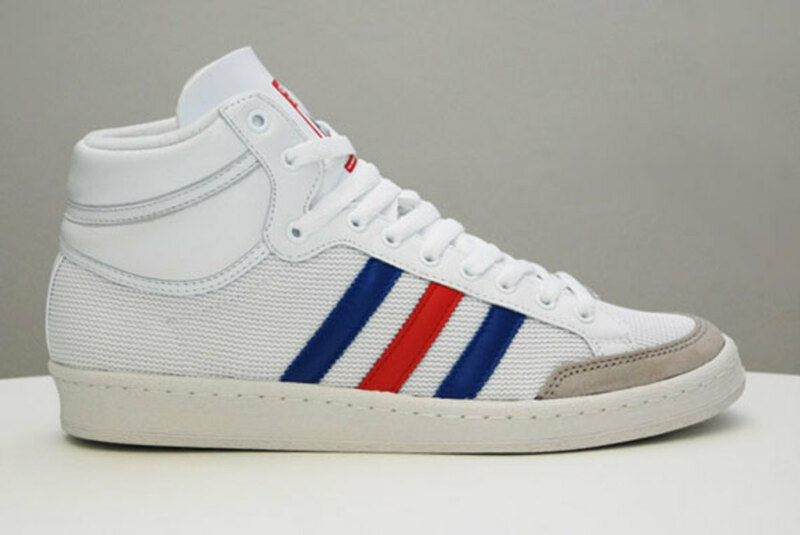 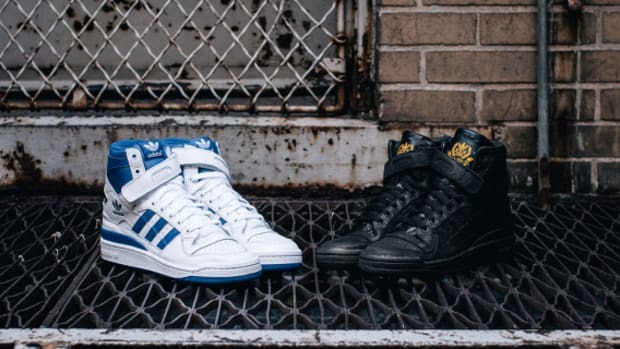 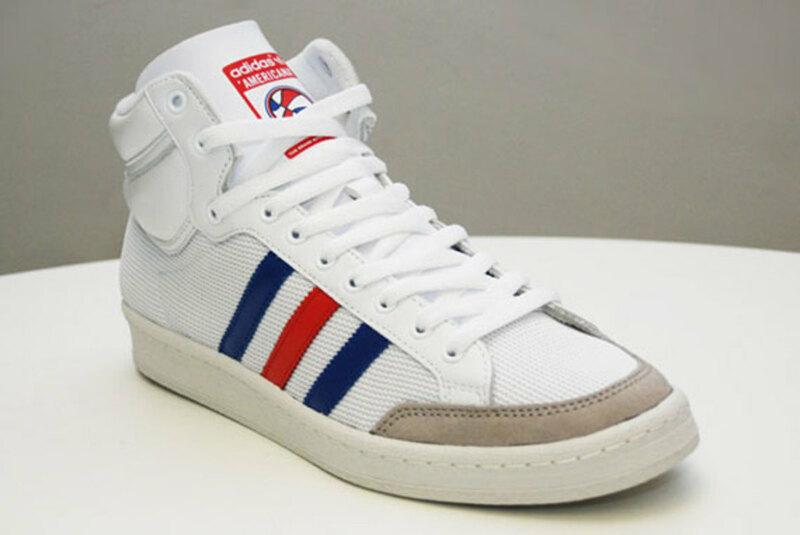 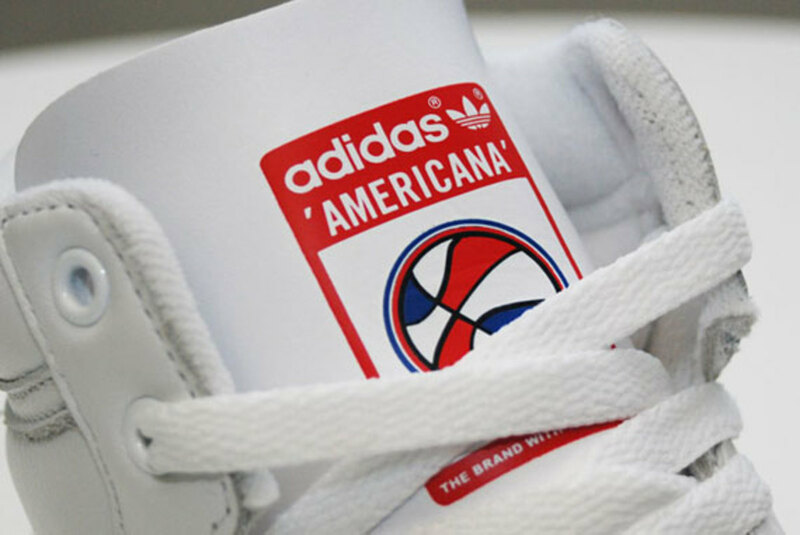 The mesh and leather construction of the adidas Originals Americana Hi 88 pays tribute to the roundball era of the 1970s, featuring a red, white and blue colorway that recalls the multi-colored ABA basketball of yore. 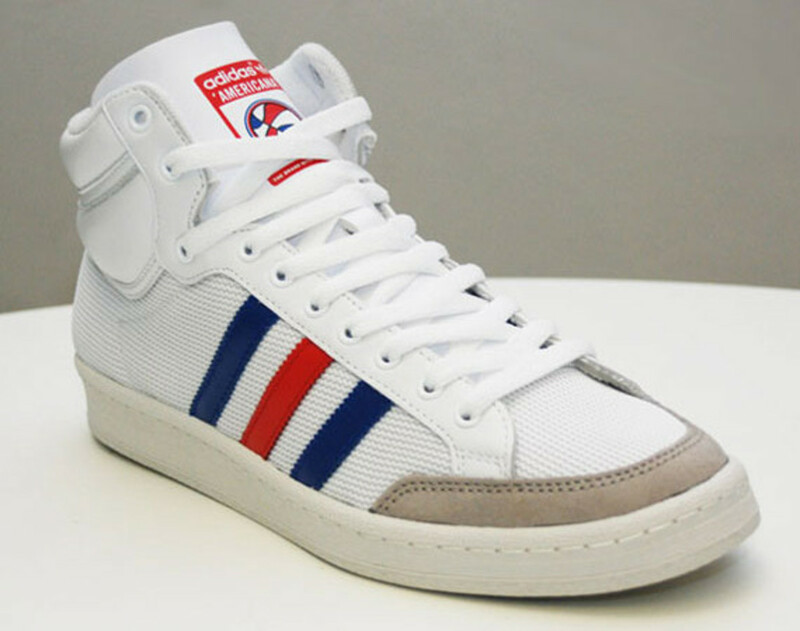 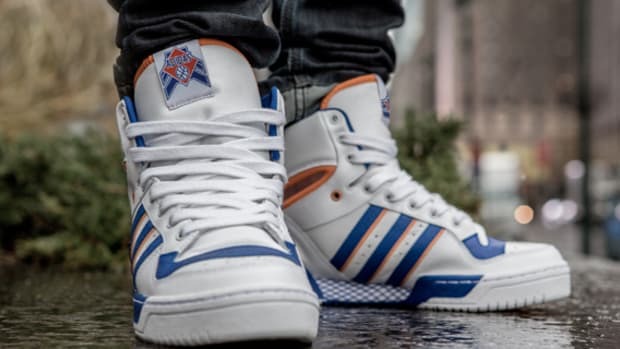 Retro diehards will appreciate the details of the seemingly simple design, highlighted by a historically accurate foam tongue and grey suede reinforcement at the toe, as well as soft leather paneling throughout the upper. 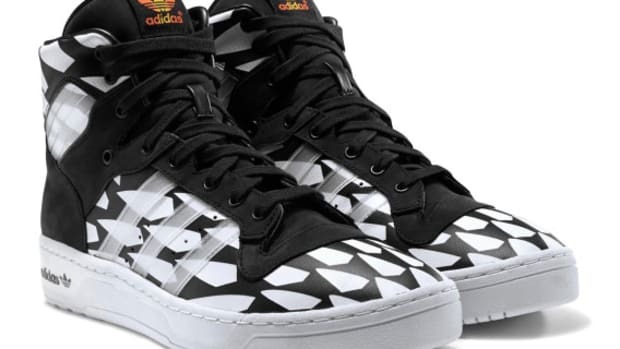 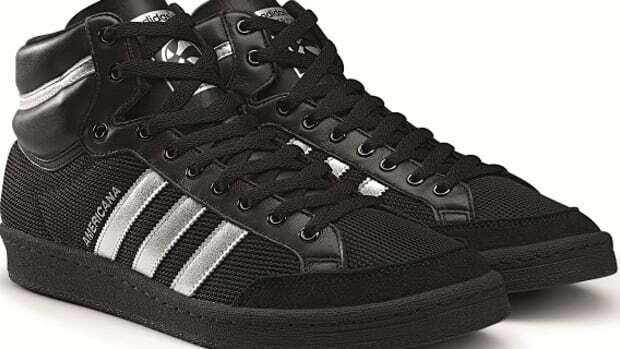 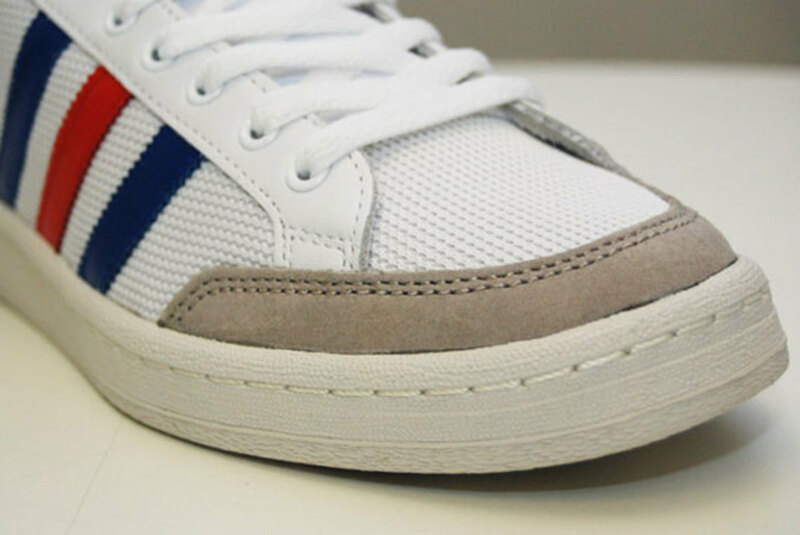 A padded collar and off-white rubber sole unit finish the look. 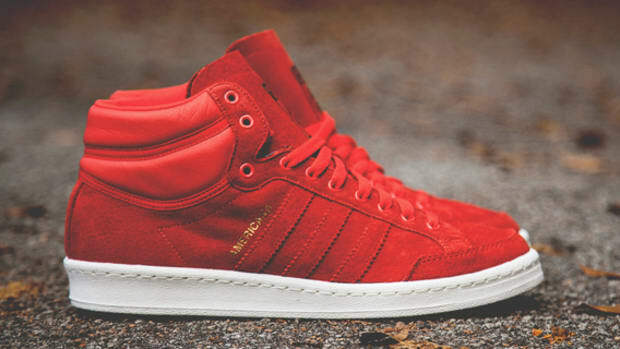 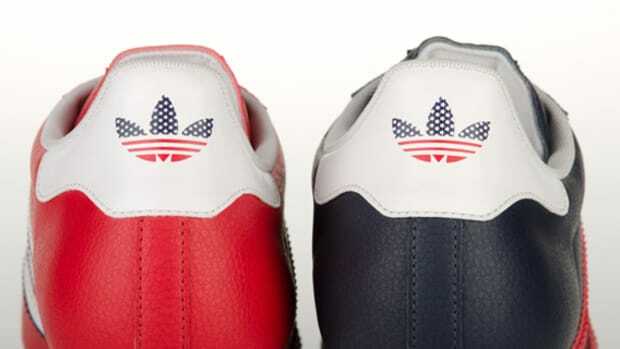 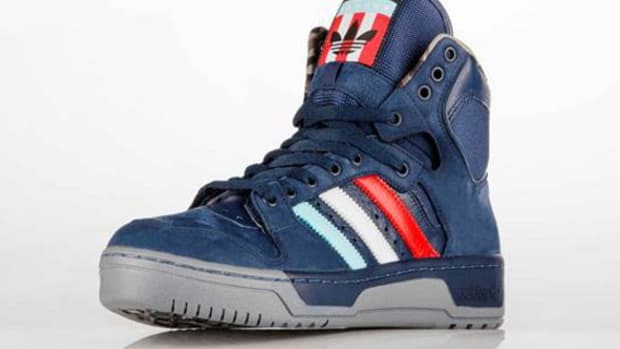 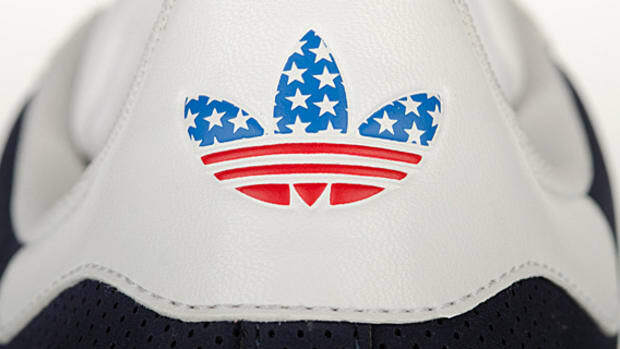 The Americana Hi 88 is in stock now at select adidas Originals stockists, including online retailer Crooked Tongues.